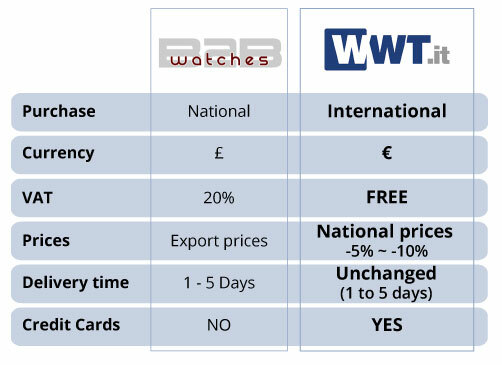 As you might be aware, B2BWATCHES.co.uk is part of an international newtwork with HQ based in Milan, Italy. We have been serving our national market for exactely 8 years, since October 2010 untill today, with over 3.600 businesses registered with us. Our warehouse, logistics and HQ have always been in Milan, but from Manchester we have tried to serve you at our best, with a peculiar attention to british sellers needs. Now, for several reasons, we have to move all activities from Manchester back to Milan, where everything was born in 1999.